Toyota TrueStart™ batteries have been approved by Toyota engineers for years of trouble-free service–and no one knows your Toyota better than they do. 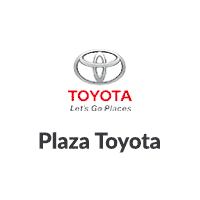 Schedule your appointment at Plaza Toyota to have your battery serviced or replaced. We will also properly dispose of your old battery to conserve our environment! purchase a set of four (4) select Goodyear and/or Dunlop tires and be eligible to receive up to an $80 Goodyear Prepaid MasterCard® Card by mail-in rebate. Cannot be combined with any other offers. Offers are not retroactive. See dealer for details. Offer valid on tires purchased from an authorized dealer’s in-stock inventory between 12:00 a.m. EST January 1, 2018 and 11:59 p.m. EDT March 31, 2018. Offer Expires 07-31-2018. When your customers purchase a set of four (4) select Yokohama tires they may be eligible to receive up to a $70 Yokohama Visa® Prepaid Card by mail-in rebate. Offer valid on tires purchased from an authorized dealer’s in-stock inventory between 12:00 a.m. EDT April 1, 2018 and 11:59 p.m. EDT April 30, 2018. Offer Expires 07-31-2018. When customers purchase a new, matching set of four (4) select Pirelli tires you may be eligible to receive a $70 Prepaid Mastercard® Card by mail. Offer valid on tires purchased from an authorized dealer’s in-stock inventory between 12:00 a.m. EDT March 23, 2018 and 11:59 p.m. EDT April 16, 2018. Offer Expires 07-31-2018.